This is an original BILL GRAHAM PRESENTS JETHRO TULL & CHICAGO Fillmore West Joined Handbill (BG225/226) from concerts at the FILLMORE WEST in San Francisco, Ca. Mar. 26th, 1970. Also on the bill were: MANFRED MANN, JAMES COTTON & FRITZ, formed by none other than Stevie Nicks and Lindsey Buckingham. With two powerful designs by DAVID SINGER, this postcard was printed only once before the concert. It measures approx. 7 1/8″ x 9″. It is in nice shape with only a few soft creases (no folds) and some minor general wear. 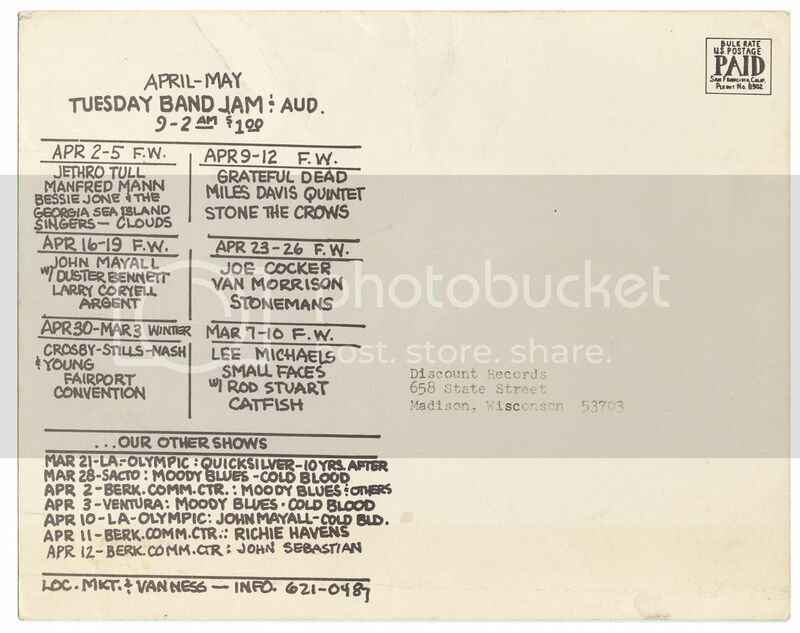 Additional bands mentioned on the back include: CROSBY, STILLS NASH & YOUNG, JOE COCKER, GRATEFUL DEAD & SMALL FACES. Will look awesome in a frame! Categories: MUSIC, PAPER PRODUCTS, Handbills. 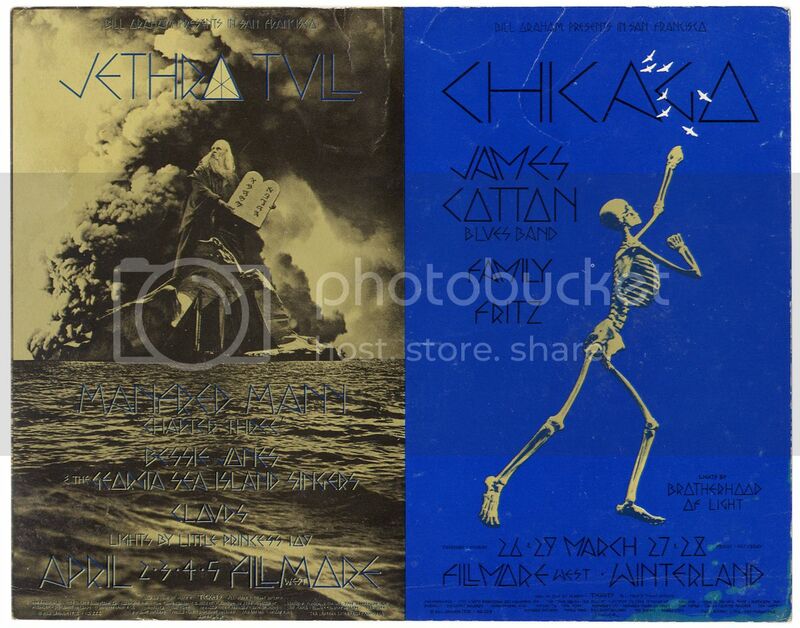 Tags: collectibles, Chicago, Fritz, James Cotton, Manfred Mann, Bill Graham Presents, Fillmore West, handbills, Jethro Tull, music, Pop Culture, postcards. Be the first to review “Bill Graham Presents JETHRO TULL CHICAGO FILLMORE WEST Joined Handbill (Mar 26th 1970) Rock Music” Click here to cancel reply.